If you are a regular visitor of this blog, and you actually care for what I write in here, you would be familiar of my previous entry on some of my favorite Sondheim tunes, mostly culled from his hit musical “Company”, a Broadway adaptation of the book written by George Furth which garnered 10 nominations and eventually won 3 Tony’s in 1971 for Best Musical, Best Lyrics for Stephen Sondheim, and Best Director for Harold Prince. I happen to discover Sondheim at the time I was experimenting on musicals, I have previously heard of 1984’s “Sunday in the Park with George” but my real connection to his earlier works was thru Barbra Streisand, who did brilliant cover versions of “Ladies Who Lunch” and “Being Alive” in her 1985 “Broadway Album”. I loved the wittiness of the lyrics and of course the music. I had no idea until recently, about the subject that this musical dealt with. 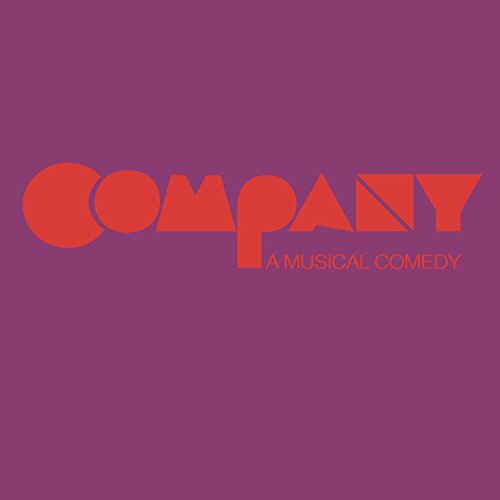 Today, I received via Amazon.com the Original Broadway cast recording of “Company”, courtesy of a dear friend. “Company” is a bittersweet, clever portrayal of five married couples—as seen through the eyes of bachelor friend Robert—explores love and commitment, fear and longing, and the simple joy of being alive. This album has a treasure of real musical gems, with “Being Alive” coming out on top. How lucky! Company no less… one of the best musicals I have ever heard. It´s only after listening the whole record that you understand completely the “Being alive” song. I confess I have cried more than once at the end of the listening when Bobby sings that. A masterpiece of one genius… and he is alive and still working! I dont believe this at all, ‘Company’ is coming back to Broadway this fall!!! I was fortunate enough to have an elder sibling who was a Sondheim fan and remember listening to the OBC of Company at the age of 11, now at 47 I am thrilled to be heading to NYC to see the 2006 return of this incredible masterpiece. Steve Sondheim is a genius!! The songs listed are timeless, and when it comes to NYC so is “Another Hundred People”! Oh lucky you! I wish I could come to New York! Do not worry that you did not get to see the recent NY production of COMPANY. Yes, it is one of the BEST Musical Comedies and BEST Scores, but this production does not represent the SHOWS best qualities. Cast members playing instruments cuts half of the orchestrations, and the coldness of the direction takes away from the IMPORTANCE of the show. My opinion of course, but listen to the original and ENJOY! She once was quite well read. No one’s suspicious — they’re gonna be alright. She’s nice and sweet and dead. They look delicious — they’re gonna be alright. But why be vicious? They keep it out of sight? Good show — they’re gonna be all right. John, maybe I should check what’s on your iPod and start copying your playlists! I just caught Saturday Night and it has a few songs I quite enjoyed, but I can forgive Sondheim for that piece of work.